I just saw this on Scrangie but had to repost. 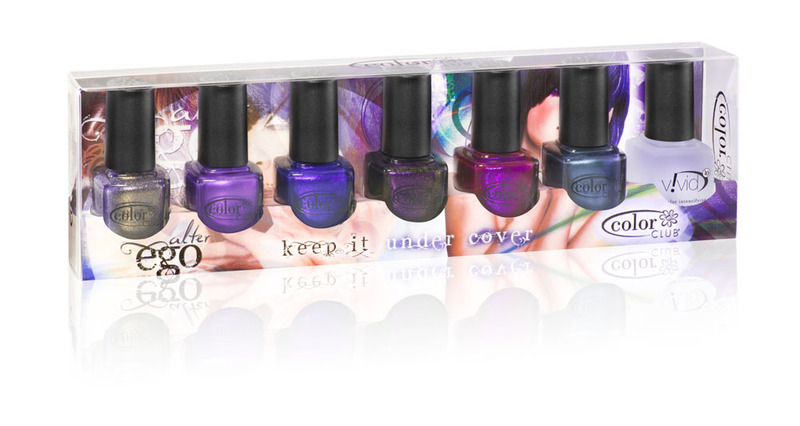 Alter Ego, Secret Agent, Total Mystery, Alias, Ulterior Motive and Masquerading plus Vivid Top Coat. I loooove Color Club (in case you hadn't noticed). 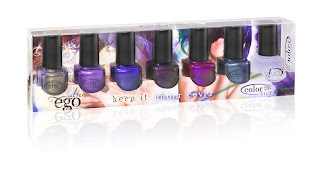 They have a huge range of unique colors, the price is reasonable, and the formula is usually good. It could be my favorite nail polish brand. It looks like this collection has a lot of duochromes, I'm so excited! Kind of blah about the pastel ones, though. i just saw this and i realize there 4 duo chrome-y color! and im so exited! i want them all!